Briarwood Products is the leading manufacturer of safe shank-free and metal free correctional cleaning tools. Our mission is to enhance the overall safety in correctional facilities by eliminating the creation of shanks. Our cleaning tools are made from a special rubbery plastic that cannot be sharpened and made into a shank or weapon. 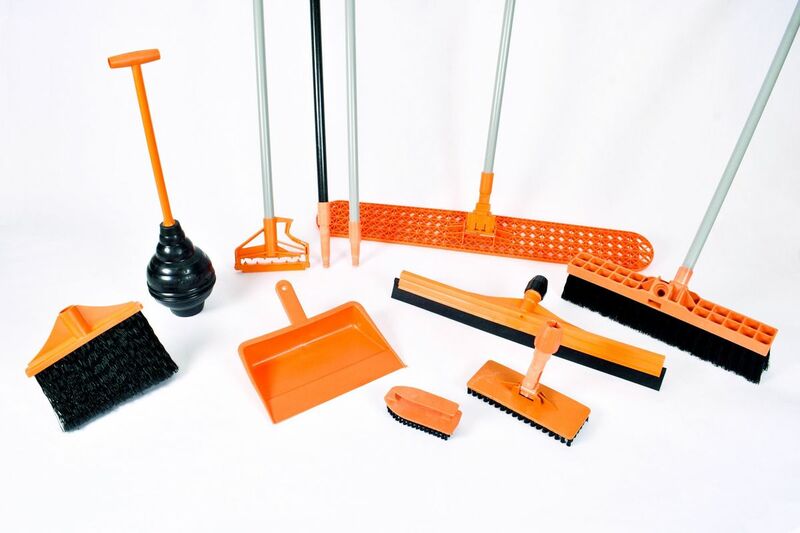 Briarwood Products offers a full line of high-quality plastic cleaning tools and has newly designed our Orange Shank-Free and Metal-Free product line. These products are ideal for use in correctional facilities and safe for all to use. All products are 100% Metal-Free and ideal for use in Correctional Facilities. Included in the line are the Adjust-A-Turn Surface Cleaning Tools, Wet Mop Holders, Sweeping Equipment and Fiberglass Telescoping Extension Poles. Designed to eliminate the potential for makeshift weapons from hard plastic or metal parts. Fully interchangeable – if one should break, you do not have to buy a whole new system of cleaning tools. Most units are bonded with adhesive to make a complete solid unit to prevent disassembly by inmates. PLEASE FILL OUT THE FORM TO REQUEST A QUOTE.